Hey Parents! 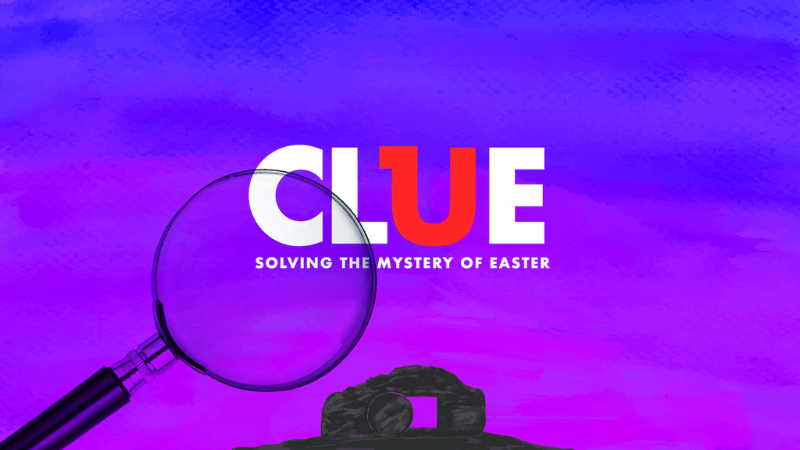 We're so excited to start a new series with your kids to help them look at clues to discover the true meaning of Easter! We will be having Elementary Encore the first two weeks of April, but will not have it the last two. Instead, the Elementary students are invited to worship in the main sanctuary with their families during Easter and for Friend Day the following Sunday. We will be having a Good Friday service April 19th at 7:00 P.M. No children's programming will be provided, but children are invited to participate in the Good Friday service. Our first service will be at 7:30 am, and no children's programming will be provided. This will be followed up with a family breakfast at 8:30 am, and then a 10:00 am service will follow breakfast. Both services will be identical. The 10:00 am service will have Infant and Toddler programming provided, but no Elementary Encore. Come join us for food and fellowship together! Encourage your children to bring a friend April 28th for Friend Day (and you bring one too)! There will be no God Squad April 17th because of spring break. When we think of Easter, we may think of dying eggs, egg hunts, the Easter bunny, and dressing up in your Sunday best on Easter Sunday. But there’s so much more to Easter than that. What really happened to Jesus over 2,000 years ago, and how does it affect us today? In this series, kids will become detectives to look for clues and discover the true meaning of Easter. Kids will learn about Jesus entering Jerusalem on a donkey, Jesus celebrating a special meal with His disciples, the crucifixion and resurrection, and Jesus ascending to heaven and giving His followers a special mission. Since we are only having Elementary Encore twice this month, we encourage you to download this month's parent guide and teach them the last two lessons! Since this month is Easter month, look for opportunities each week to talk about the story of Easter with your kids and remind them what Easter is all about. You can do weekly family devotionals with your kids or look for daily opportunities to talk to them about the Easter story this month. When you lead family devotions, don't worry about having all the answers or knowing the Bible like a Bible scholar. If your kids ask a question and you don't know the answer, it's okay to tell them you don't know and try to find the answer together. When you look up Bible passages, you can let them read the Scripture. You can also ask them to pray or share things you can pray for. The book "The One Year Praying Through the Bible for your Kids" by Nancy Guthrie is a great resource help you pray the Scriptures over your kids. It weaves together wisdom and insight from each day’s reading in The One Year Bible, providing encouragement through the triumphs and turbulence of parenting. Day by day you’ll find your dreams and desires for your children are becoming shaped more by Scripture than by the culture around you. Worry less, pray more, and help yourself to a daily dose of perspective, hope, and grace as you parent. What's the hardest part about being a parents of kids these days? Reply to this email and let us know!